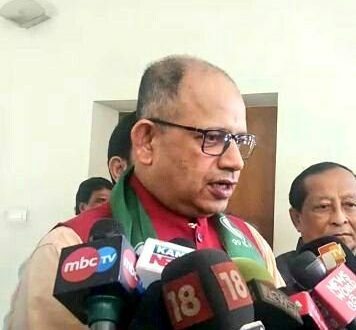 Bhubaneswar: Former Odisha Principal Accountant General Amar Patnaik joined the Biju Janta Dal (BJD) here on Wednesday. Patnaik joined the ruling party in the presence of Chief Minister and BJD president Naveen Patnaik at the Naveen Niwas here. Soon after his joining in the party, Patnaik has been appointed as the head of the IT cell of BJD. Patnaik served in Odisha for many years before his transfer to Kerala in 2015. Later, he took voluntary retirement. Speculations are rife that Patnaik will contest election from Kendrapara Lok Sabha constituency, which was represented by Baijayant Panda.